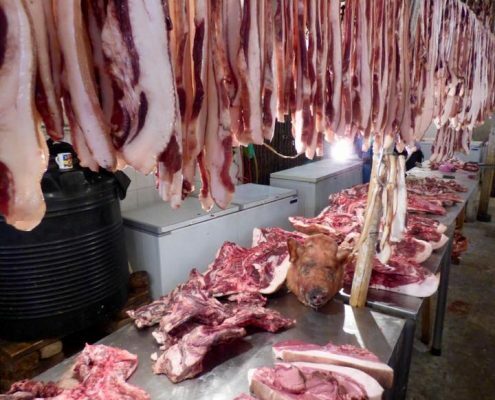 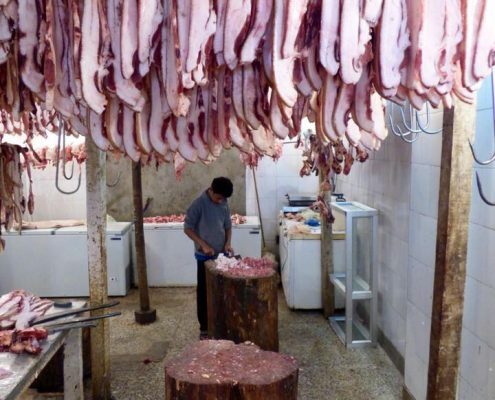 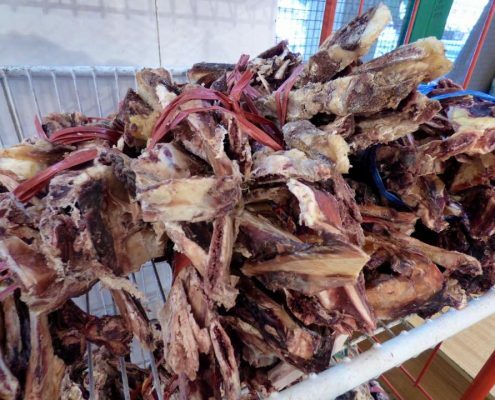 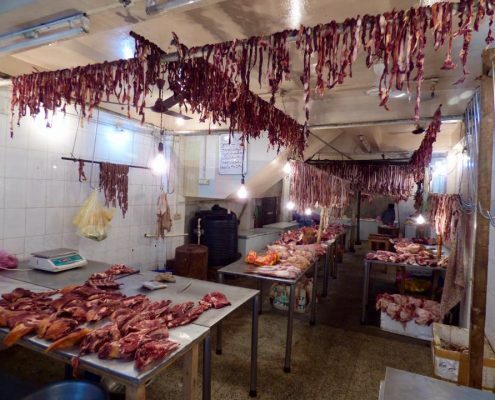 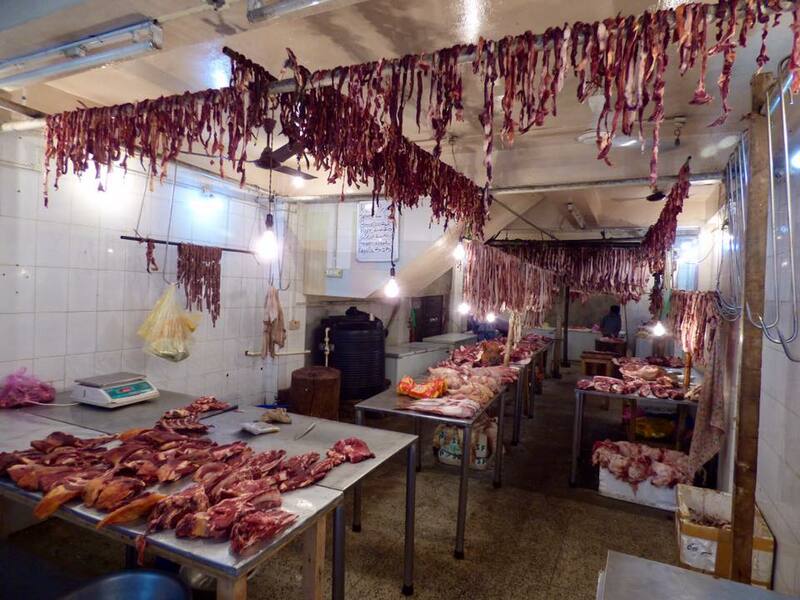 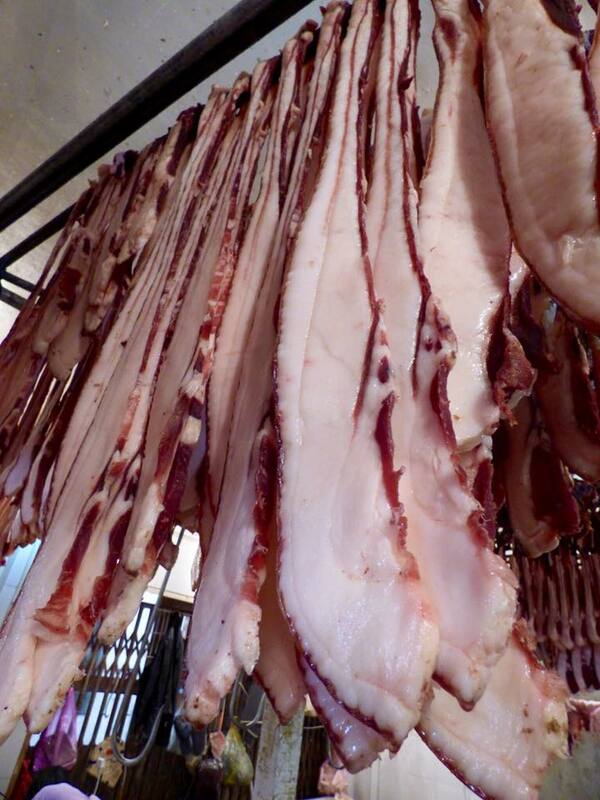 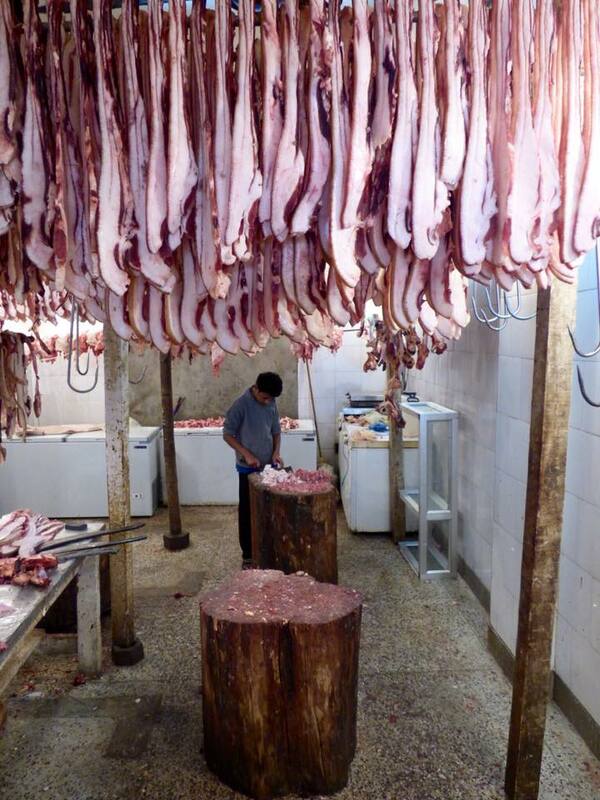 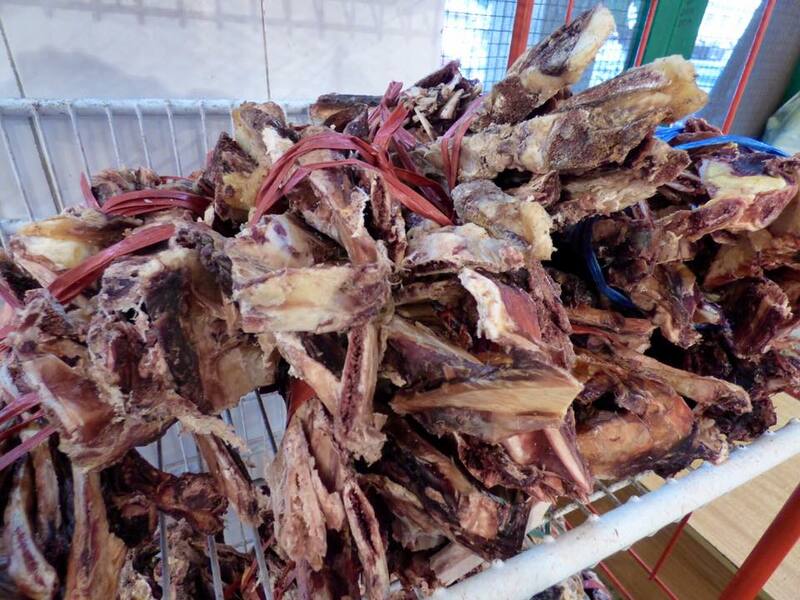 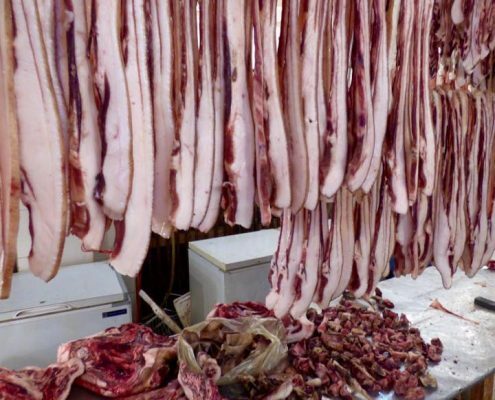 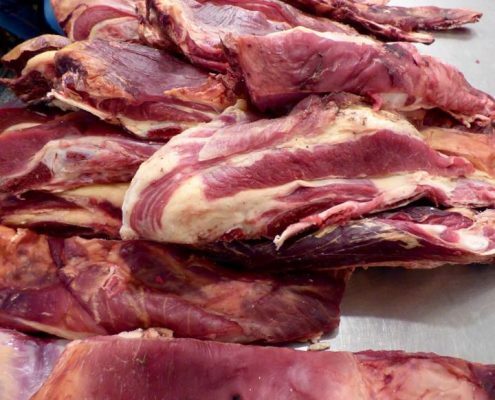 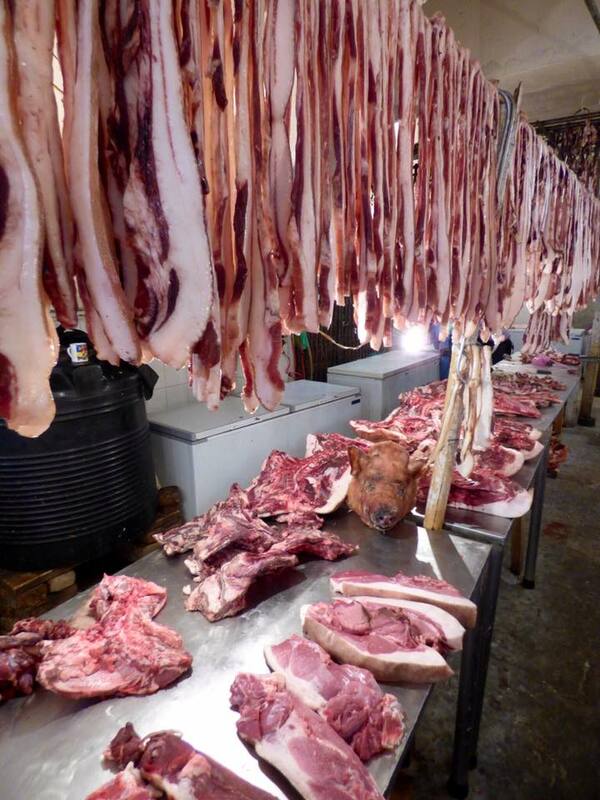 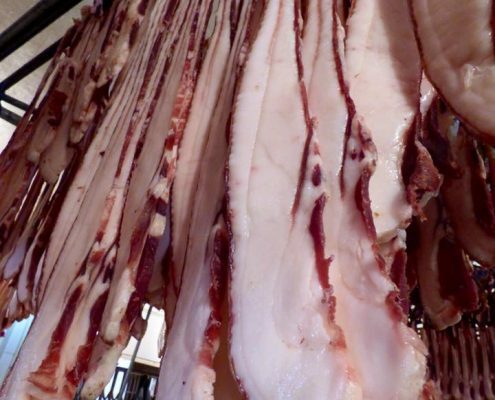 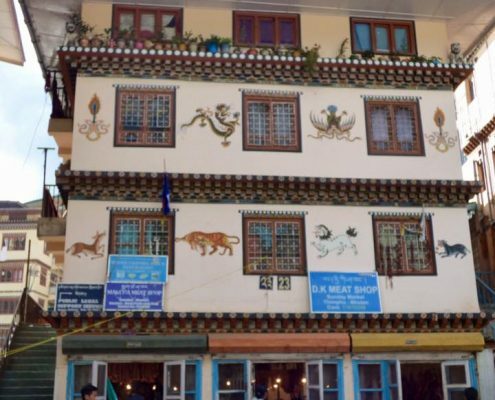 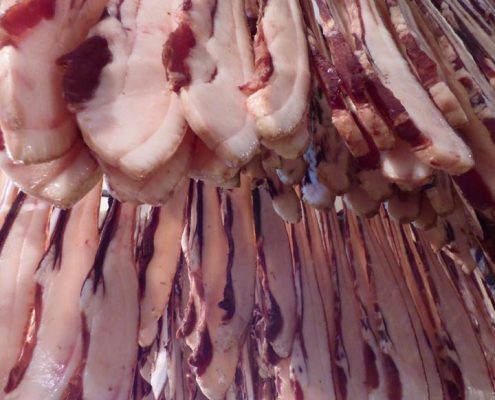 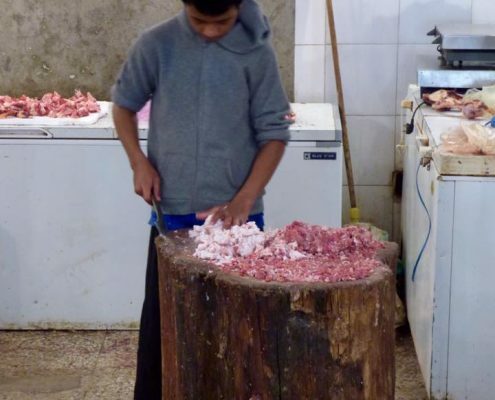 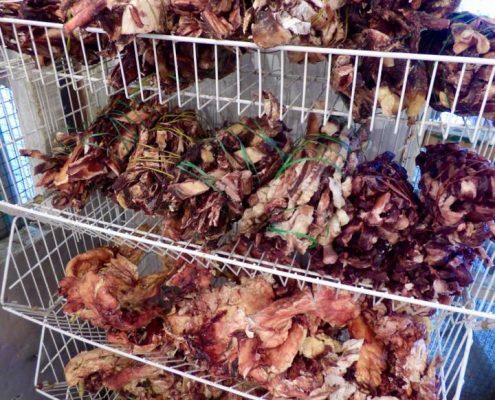 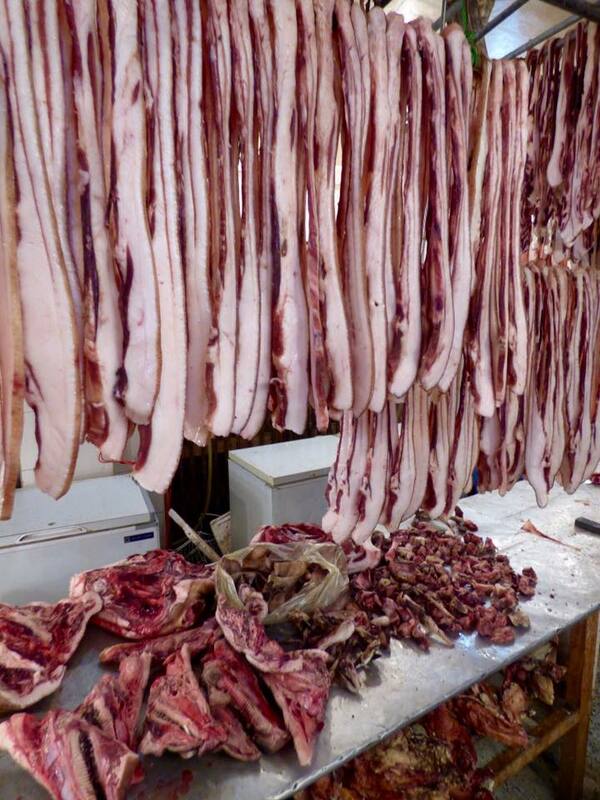 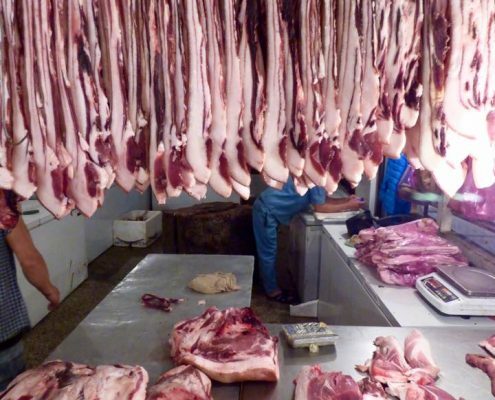 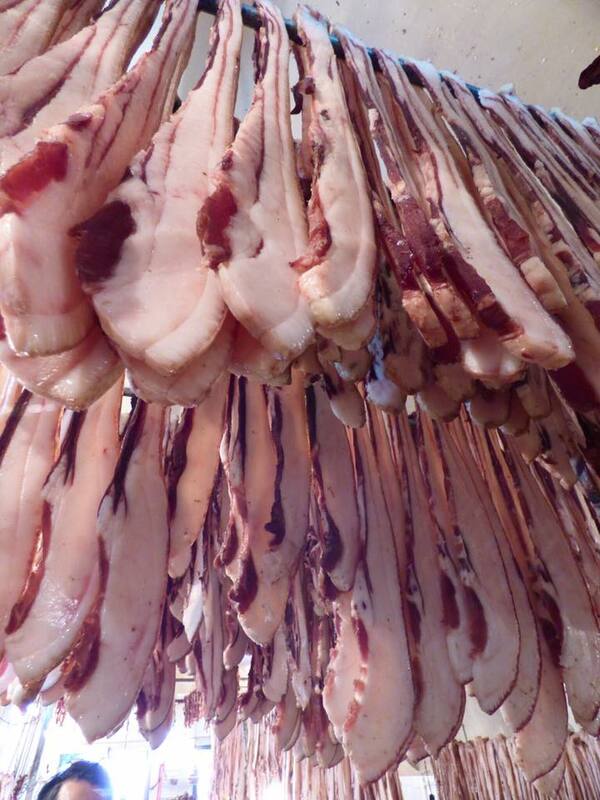 Meat shops in Bhutan are a sight to see – mostly pork and some beef is cut into thick bacon-like slabs and hung to air-dry for days. 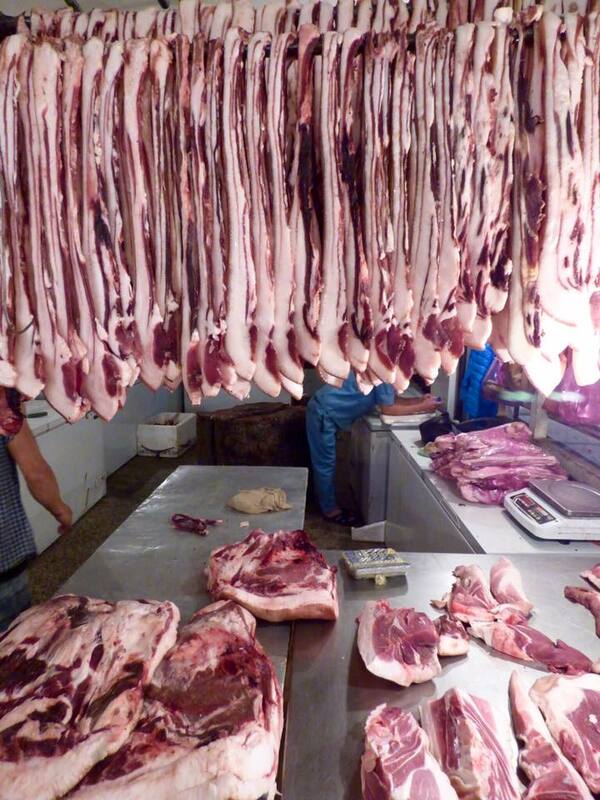 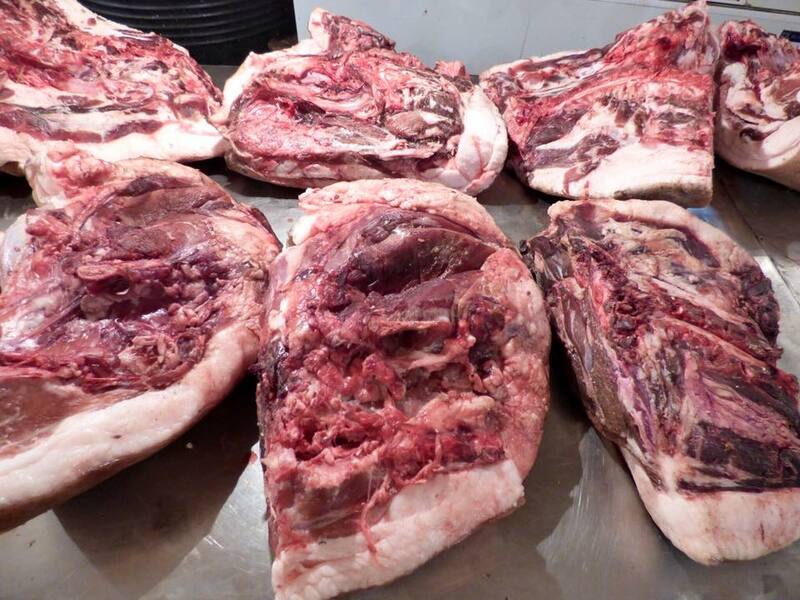 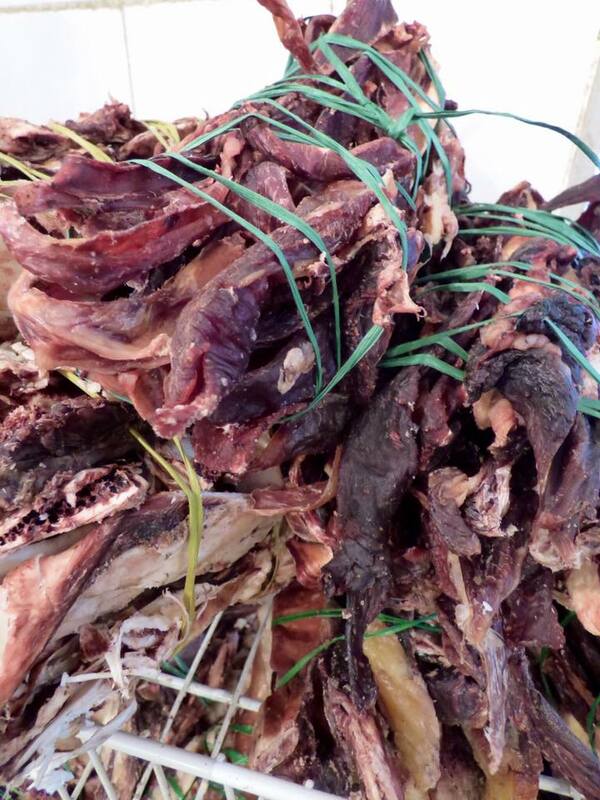 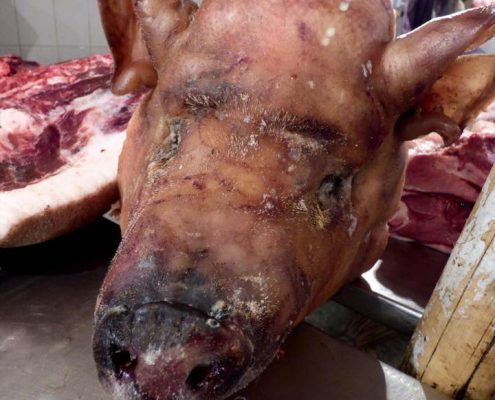 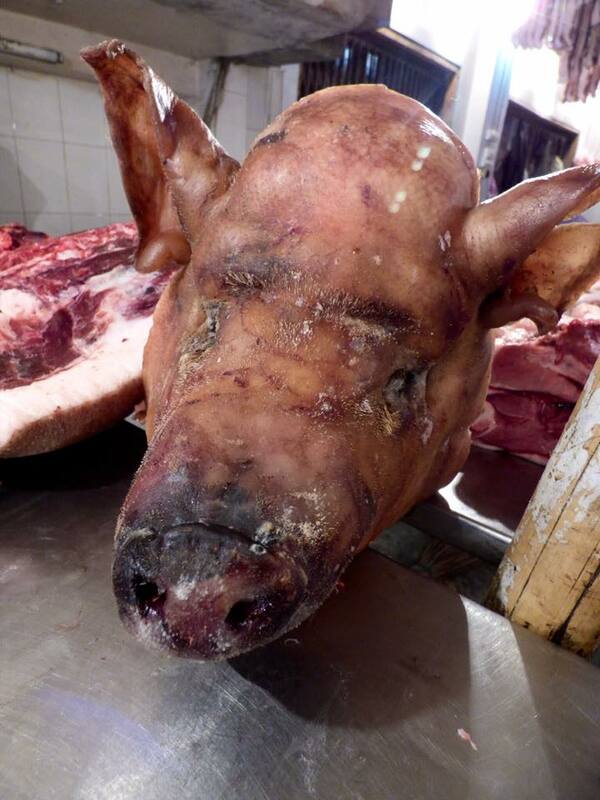 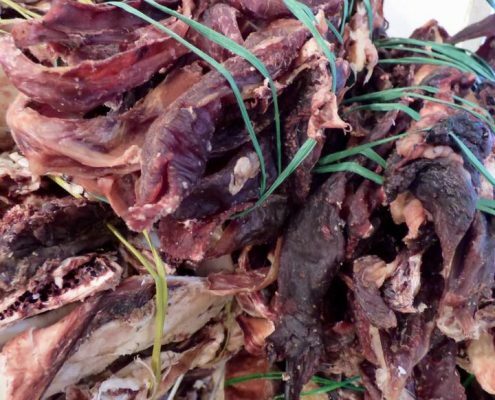 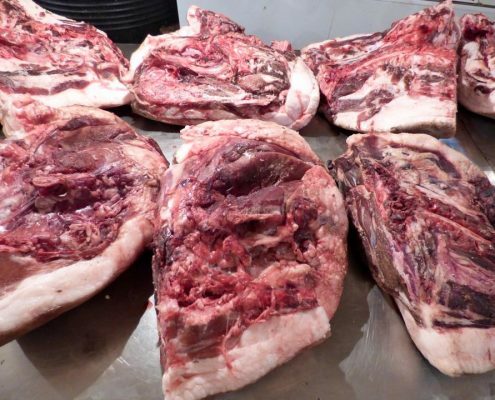 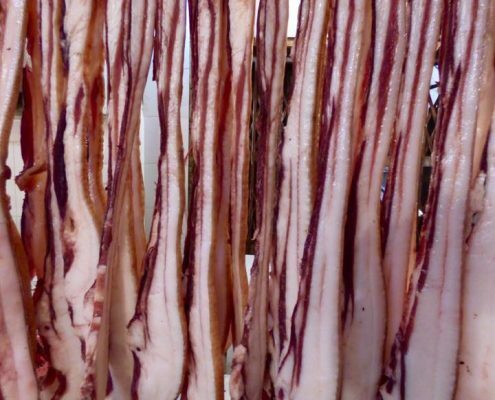 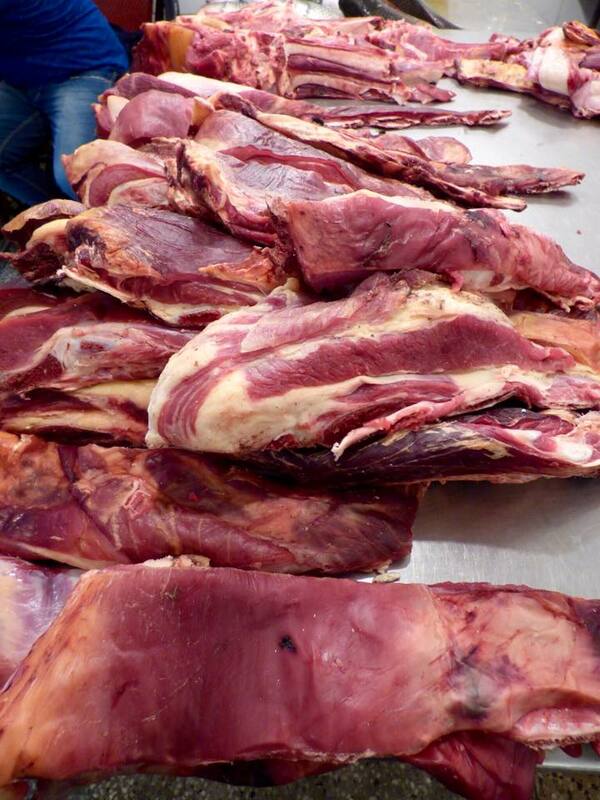 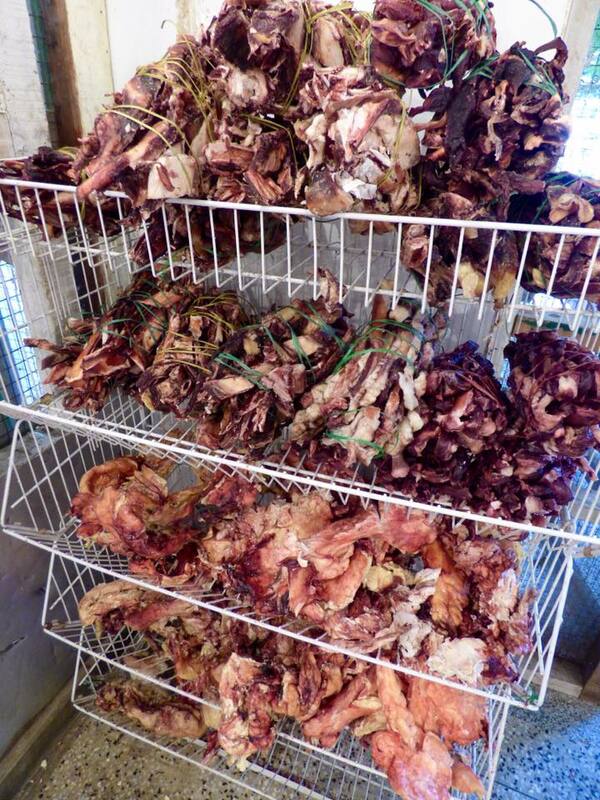 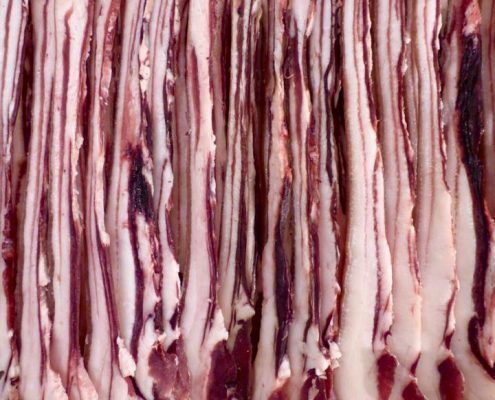 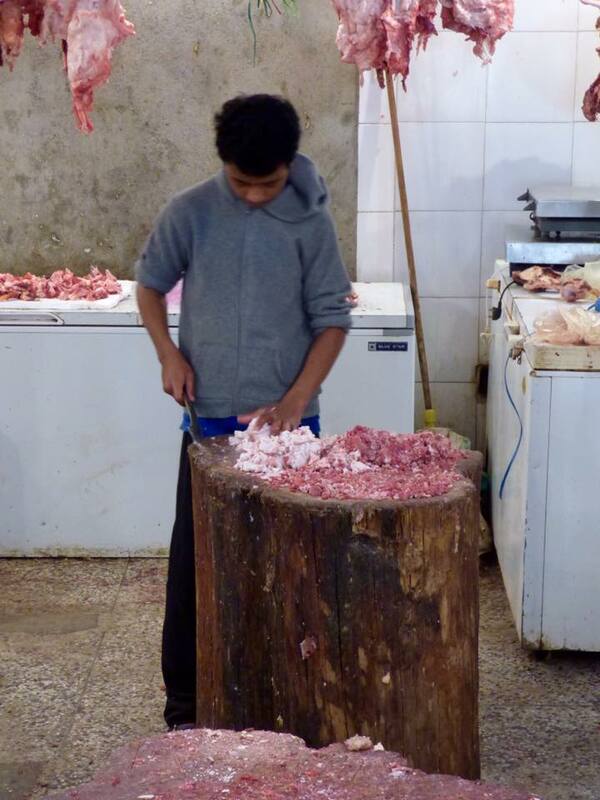 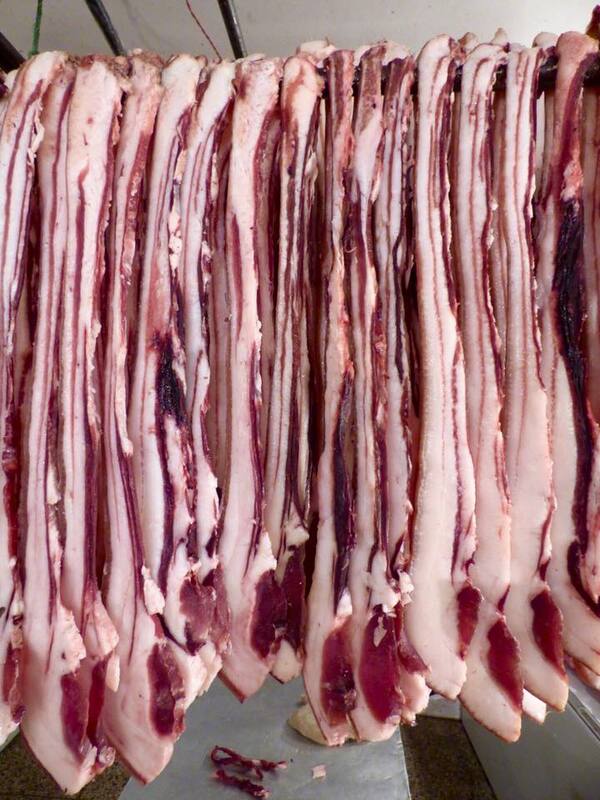 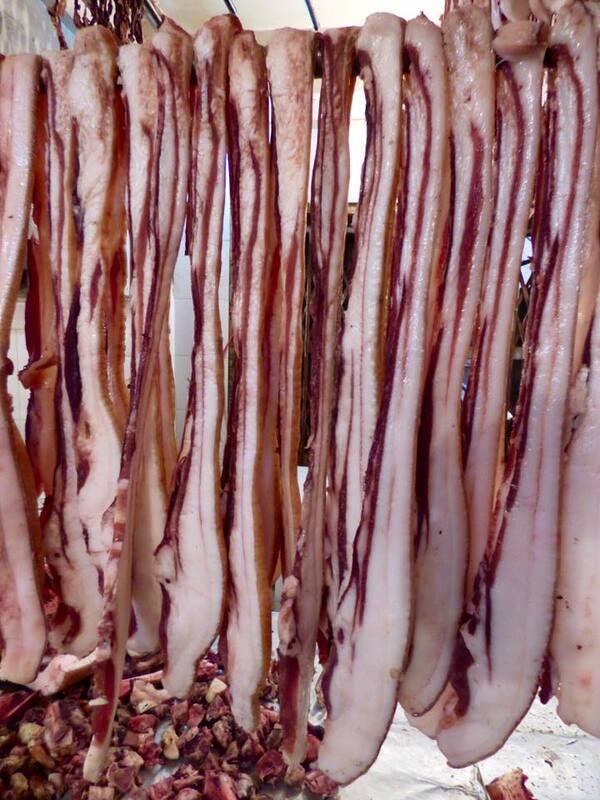 Most other meats are consumed after being air-dryed as well (the climate is chilly and the air is fresh). 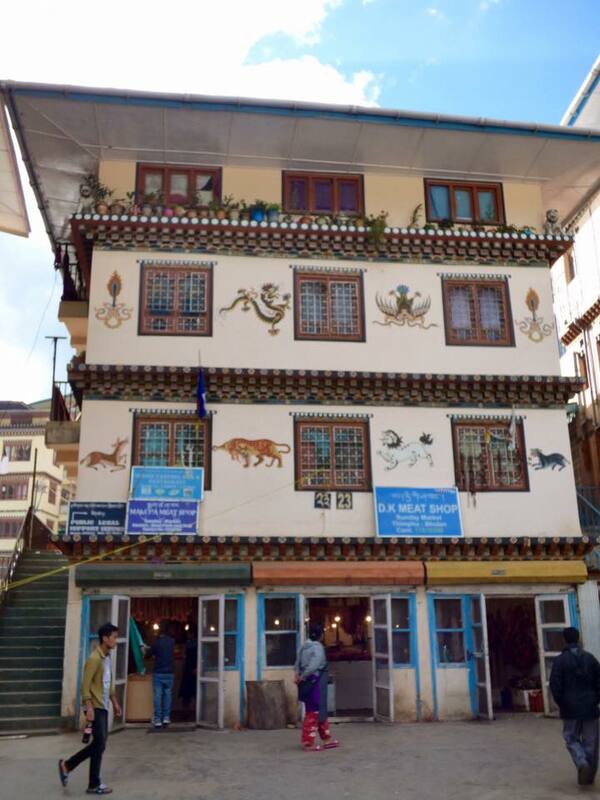 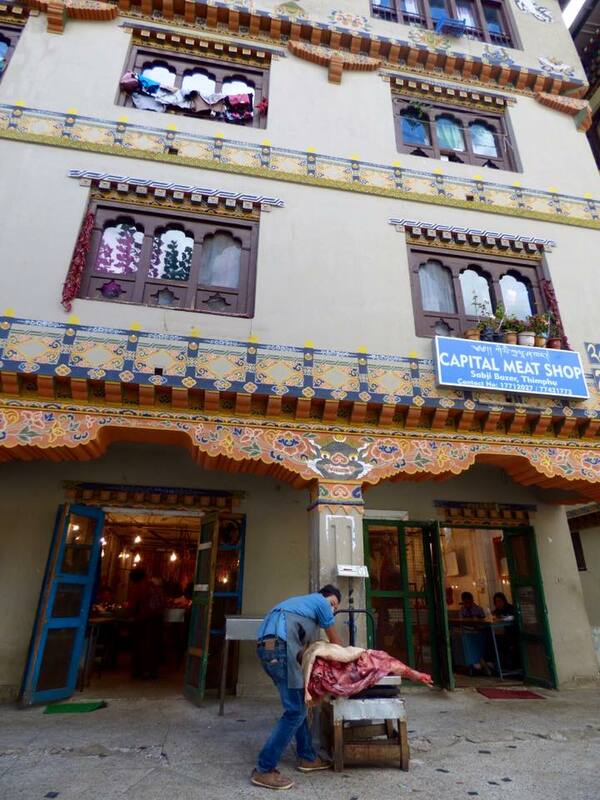 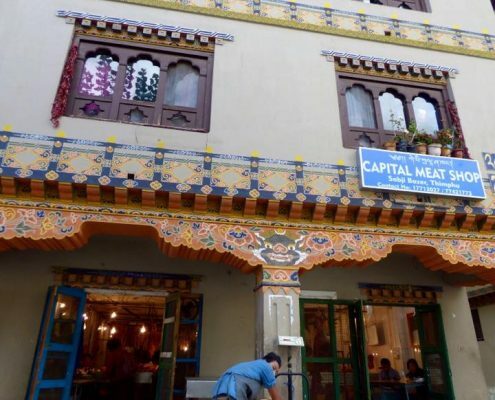 Shop after shop after shop in Thimpu prepares and display their choice meats, and butchers are chopping away at separating tasty pieces from even tastier ones.